Reading helps me to write. I read a lot so I can write a lot. Simple really. Here’s some books I’ve read and have inspired me to write. Warm Auditorium is a great title for a great collection of eclectic poems by James Brown. This is the ultimate fishbowl question that I’m sure all writers and poets have asked themselves at one time or another. The short titled poem I’m shows of some of Brown’s greatest form and repetition. The flow cascades seamlessly into different colours just like the amazing waterfall in Pukekura Park, New Plymouth on a hot Summer’s night . It’s a great study of the poetic form. James Brown’s first book, Go Round Power Please, won the 1996 Jessie Mackay Best First Book of Poetry Award, and he has been a finalist in the Montana New Zealand Book Awards three times.. He is the author behind the useful, non-fiction booklet Instructions for Poetry Readings, and editor of The Nature of Things: Poems from the New Zealand Landscape (2005). He lives in Wellington with his partner and two children. The great Japanese poet Basho is just one of the many influences that have inspired some of the latest poems in Geoff Cochrane’s collection of peoty. The poems in this book are a great variety of form and content. Geoff’s use of ‘Pinksheets’ which appear to be random notes of notable events or just plain uninterrupted thoughts, are fascinating enough without having to be forged into any poetic form, rhyme or reason. Indeed that we would and then also remember to take the clouds out before we put our jeans through the wash. Overall a real pleasure to read. Not to long, easy to follow and a variety to rival the best pick and mix selection in the confectionary aisle of your local supermarket. Unsurprising this is not Geoff’s first book. 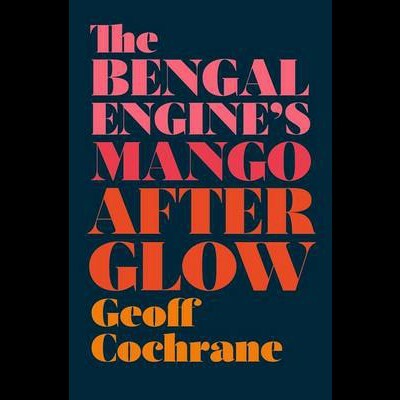 Geoff Cochrane is the author of numerous highly regarded collections of poems, two novels and two collections of short stories. In 2009 he was awarded the Janet Frame Prize for Poetry. I’ve recently discovered a great writing blog by Jeff Goins. Jeff’s blog is full of great writing tips, techniques, advice and other material. His latest e-book is a great guide about how to get publishers to come to you! I recommend you download Jeff’s e-book. It’s an easy read and has some great tips about getting published. What do the world’s best authors know that you don’t? Why is it so hard to get published, or even noticed, by the gatekeepers? This eBook bundle offers practical tips and inspiration for how you can start living the dream of every writer — how to never pitch your writing again — and create a platform that attracts the publishers to you.